Granada ([ɡɾaˈnaða]) is a city in western Nicaragua and the capital of the Granada Department. With an estimated population of 123,697 (2012), it is Nicaragua's sixth most populous city. 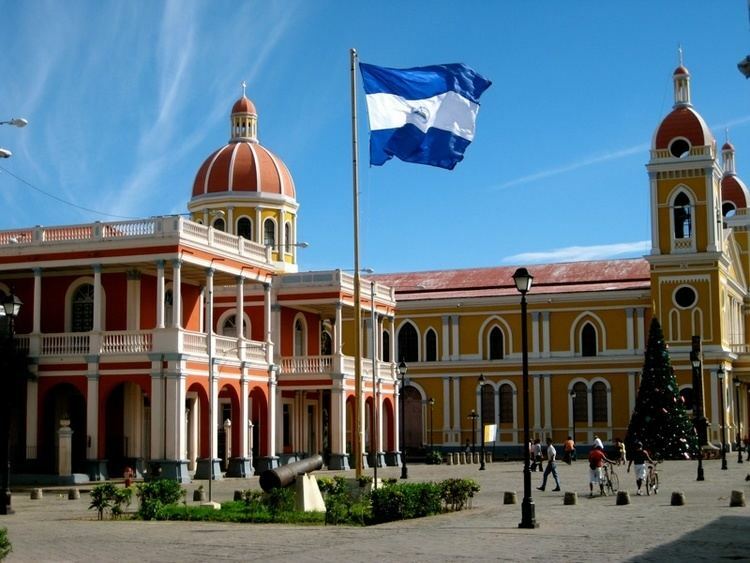 Granada is historically one of Nicaragua's most important cities, economically and politically. It has a rich colonial heritage, seen in its architecture and structure. Granada had a thriving Indigenous population, until it was attacked in the early 16th Century by Spain. The Nicaros were raped, tortured and murdered, and forced into Catholicism. Those who did not succumb were killed. In 1524, the city was renamed Granada, by Francisco Hernández de Córdoba, ostensibly the first European city in mainland America. Unlike other cities that claim the same distinction, the city of Granada was not only the settlement of the conquest, but also a city registered in official records of the Crown of Aragon, and the Kingdom of Castile in Spain. Granada is also known as La Gran Sultana, in reflection of its Moorish and Andalusian appearance, unlike its sister city of León and historical rival, which displays Castilian trends. It was named by Hernández de Córdoba after the ancient Spanish city of Granada. This was done in honor of the defeat of the last Moorish stronghold, which had been Spanish Granada, by the Catholic King and Queen of Spain. 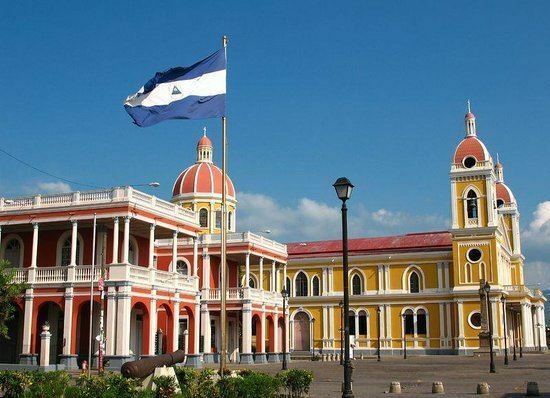 Granada, Nicaragua was historically the sister capital in Central America to Antigua, Guatemala. During the colonial period, Granada maintained a flourishing level of commerce with ports on the Atlantic Ocean, through Lake Nicaragua (a.k.a. Cocibolca) and the San Juan River. The city has been witness and victim to many of the battles with and invasions from English, French and Dutch pirates trying to take control of Nicaragua. It was also where William Walker, the American filibuster, took up residence and attempted to take control of Central America as a ruling president. One of Walker's generals, Charles Frederick Henningsen, set the city ablaze before escaping, destroying much of the ancient city and leaving printed the words "Here was Granada". For many years Granada disputed with León its hegemony as the major city of Nicaragua. The city of Granada was favored by the Conservatives, while Léon was favored by the Liberals. For many years there was conflict that at times became quite violent between the cities' families and political factions. 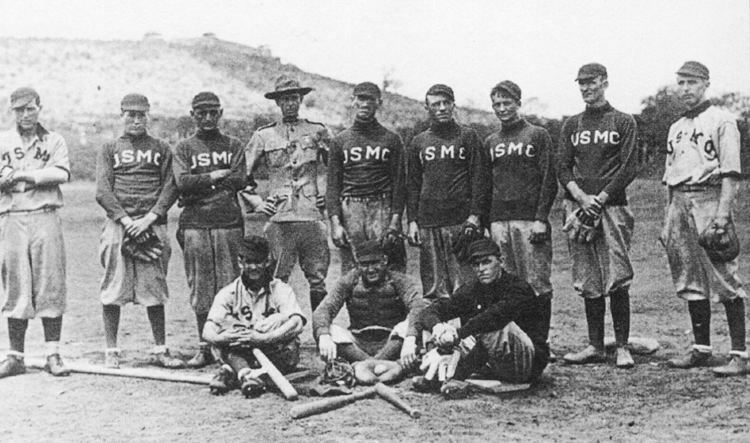 In the mid-19th century a compromise site was agreed on and the capital was finally established at Managua between both cities. As of 1850, Granada had a population of approximately 10,000. Granada avoided much of the tumult of the Sandinista Era in the 1970-80s. 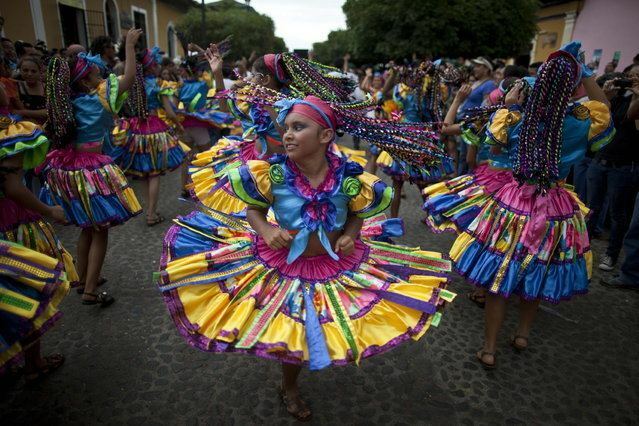 Granada is located along the coast of the Lake Nicaragua (a.k.a. Lake Cocibolca), the world's twentieth largest lake. Granada is the capital city of the Department of Granada, which borders Boaco and Managua to the north, Masaya and Carazo to the east and Rivas to the south. Within the same department, the River Tipitapa which connects the Lake of Managua and Nicaragua passes through it in the north. It also has three volcanic lagoons; Manares, Genirzaro, and the famous Apoyo. Apoyo, which is shared with the Department of Masaya, is the largest volcanic lagoon in Nicaragua. Granada is a very warm city all year round, with very similar temperatures to Managua. This is due to similarities in geography with its close proximity to a lake and surrounded by high hills. Rainfall in Granada is approximately between 1,100-2,100mm annually. The vegetation around Granada is a reflection of its climatology. Dry forests and also humid forests skirt the Mombacho volcano. The volcano is also home to a wide array of fauna. (See Wildlife of Nicaragua) The lake is also home to many creatures, both marine and freshwater creatures. It is the only freshwater lake in the world where sharks live (Nicaragua shark). Fishing in the lake is quite good, and fishermen, both commercial and recreational, regularly catch guapote and mojarras, as well as sardines. Nicaragua has recently banned fishing of the Nicaragua shark and sawfish because of population decline. Other important cities and towns within the Granada district include Malacatoya, El Paso, El Guayabo, Diria, Macatepe, El Guanacaste, Nandaime and Diriomo, known nationally as the last city of witches. Mombacho volcano is the highest point (1,345 m) within Granada; the now dormant volcano blew most of its cone into the lake, forming the 365 Islets of Granada, from where the volcano provides an amazing view. It is also possible on a clear day to see Ometepe and Zapatera Islands. This latter island is the second largest island in Lake Nicaragua, and it too is an inactive volcano. The largest is Ometepe Island, also located in Lake Nicaragua, It is a national treasure, known as the home of pre-Columbian statues and idols which were found on the island during the Spanish conquest, these are now exhibited in the Convento San Francisco Museum, as well as several museums and parks on Ometepe Island. Granada has many beaches on Lake Nicaragua which are very popular around Semana Santa ("Holy Week"). Granada has long been a center of commerce, including timber, gold and silver. Granada's economy continues to grow as it is becoming a hub for tourism. Though Granada remains Nicaragua's sixth largest city, it is widely known for preserving some of the finest colonial-era architecture in the country. A real estate boom had been underway for several years, with many European and Americans purchasing and renovating the area's homes for retirement or holiday homes and several foreign realtors establishing offices, but that boom slowed in 2007. The prior escalation of real estate prices in Granada and other parts of Southwestern Nicaragua has led to a shift of investor attention toward Northern Nicaragua and the cities of Matagalpa, Leon, Corinto and the surrounding beaches of Leon and Corinto. Museums have opened, and new hotels and restaurants are proliferating at a fast rate. Granada, though now highly dependent on tourism, also has fertile agricultural land within the municipality. Major production of organic coffee and cacao, cattle, plantains and bananas occurs within its boundaries. Granada's restaurants have received international recognition by newspapers like the New York Times. In the city of Granada, there are many restaurants including Café Espressonista, Ciudad Lounge, Pita Pita, Garden Café & Café de los Sueños. In recent years, the city of Granada's evolving culinary scene mixes local and international flavors, as well as supporting farm-to-table sustainability of local growers and producers. Granada's economy continues to grow in big part because it is fast becoming a tourist attraction for its colonial architecture, as well as its ecological beauty and now as a food destination. Most of Granada's streets are narrow, as the city evolved centuries before the advent of motorized vehicles. Therefore, today, many streets allow only one-way traffic, offering a challenge to visitors traveling by car. Following many years of neglect, primarily due to the economic collapse of the nation in the 1980s, most of Granada's buildings and infrastructure began to deteriorate. Roads and public utilities fell into disrepair. In the decades that followed, however, the city government directed funds towards recognition and restoration of many of Granada's historic structures. The Spanish government has provided financial cooperation for the refurbishment of the city. One such project is transforming Calle La Calzada into Peatonal (foot traffic only) Street. 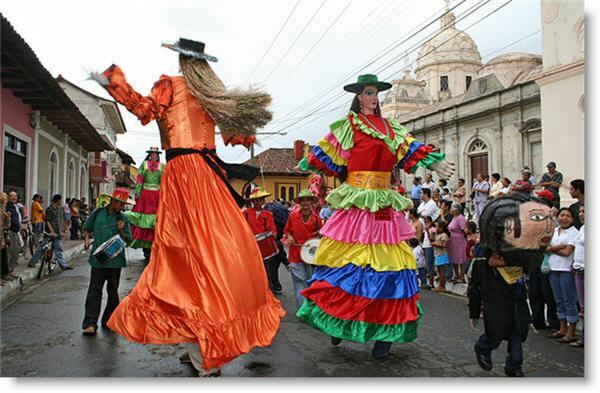 Granada, like most of the Nicaraguan Pacific, is populated primarily by a Spanish-speaking majority of Mestizos. Residing here also are people from the United States, Canada, Spain, Germany, Italy, Austria, the Netherlands, and France. Currently, Nicaragua is experiencing a booming tourist economy. This, in turn, draws foreigners seeking colonial homes for purchase, adding a growing number of Europeans and Americans to the population of Granada. Real estate prices here were initially comparatively low, but have increased following the foreign interest and subsequent investments.